Son of William & Mary Quegan, of Kinnitty, King's Co., Ireland. Embarked: 26-4-1915, Fremantle, Western Australia per "Hororata"
Son of William and Joyce Rae. Embarked: 7-3-1916, Melbourne, Victoria per "Wiltshire"
Husband of Mary Gertrude Rahill, Great Western Hotel, Rockhampton, Qld. Embarked: 18-2-1916, Sydney, N.S.W. per "Ballarat"
Embarked: 26-6-1915, Sydney, N.S.W. per "Berrima"
Son of Jane Reaburn, Carrickmacross, Co. Monaghan, Ireland, and the late John Reaburn. Embarked: 19-9-1916, Brisbane, Queensland per "Seang Choon"
Embarked: 21-10-1914, Melbourne, Victoria per "Shropshire"
Corporal Myles REILLY 490 D.C.M. Son of Charles & Elizabeth Reilly, of 7, Bow St., Donaghadee, Co. Down, Ireland. Embarked: 9-9-1916, Sydney, N.S.W. per "Euripides"
Son of Patrick & Ellen Reynolds, Tooman, Johnston's Bridge, Dromod, Co. Leitrim. Embarked: 16-8-1916, Brisbane, Queensland per "Boorara"
Embarked: 2-5-1916, Sydney, N.S.W. per "Hororata"
Son of Denis and Mary Riordan. Embarked: 16-7-1915, Melbourne, Victoria per "Demosthenes"
Embarked: 30-12-915, Brisbane, Queensland per "Itonus"
Son of Frank &Mary Hope Roberts,Randolph Gardens, Maida Vale, London, England. Embarked: 25-6-1915, Sydney, N.S.W. per "Berrima"
Embarked: 20-10-1914, Adelaide, South Australia per "Ascanius"
Embarked: 27-10-1916, Brisbane, Queensland per "Marathon"
Embarked: 8-5-1915, Melbourne, Victoria per "Ulysses"
Embarked: 17-9-1914, Melbourne, Victoria per "Geelong"
Embarked: 21-10-1914, Melbourne, Victoria per "Orvita"
Born: Cloonmore, Co Donegal, Ireland. Embarked: 9-11-1916, Fremantle. 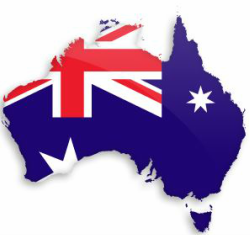 Western Australia per "Argyllshire"
Embarked: 16-8-1915, Brisbane, Queensland per "Kyarra"
Embarked: 20-10-1916, Melbourne, Victoria per "Port Lincoln"
Embarked: 29-9-1915, Melbourne, Victoria per "Osterley"
Embarked: 11-11-1916, Sydney, N.S.W. per "Suevic"
Embarked: 2-11-1915, Sydney, N.S.W. 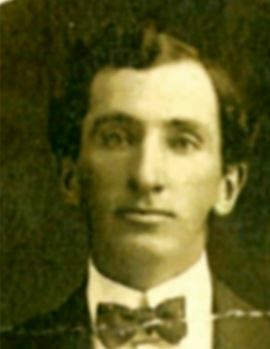 per "Euripides"
Son of William Smith Ross and Frances Ross. Embarked: 27-5-1916, Melbourne, Victoria per "Ascanius"
Embarked: 22-12-1914, Melbourne, Victoria per "Ceramic"
Husband of Annie Rebecca Ryan, of Boulder City, Western Australia. Embarked: 1-4-1916, Perth, Western Australia per "Ulysses"
Son of Henry Joseph and Margaret Mary Ryan. 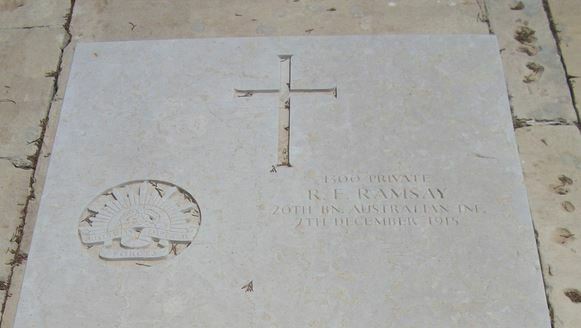 Enlisted: 6-1-1916, Brisbane, Queensland per "Clan "MacGiilivray"
Sergeant James RYAN 1633 M.M. Son of Francis Augustus & Honorah Ryan, of Moore St., Wilcannia, New South Wales. Embarked: 12-5-1915, Sydney, N.S.W. per "Themestocles"
Husband of Agnes Ryan, of 3, Charlemont Square, Claremont St., Dublin, Ireland. Embarked: 2-2-1915, Melbourne, Victoria per "Clan MacGillllivray"
Son of Daniel Bourke & Annie Dwyer Ryan, Emmett St., New Tipperary, Ireland. Embarked: 23-6-1916, Sydney, N.S.W. 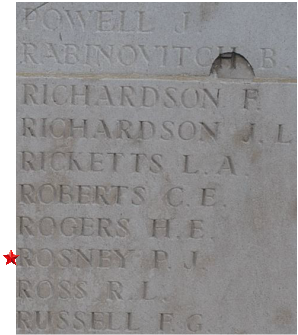 per "Barambah"
Son of John & Cathrine McCarthy Ryan, Killoughtemane Corries, Bagenalstown, Co. Carlow. Embarked: 28-2-1918, Melbourne, Victoria per "Nestor"